Yellow Card is a cryptocurrency exchange for the cash market, making Bitcoin, Ethereum, and other top cryptocurrencies accessible to anyone, anywhere. 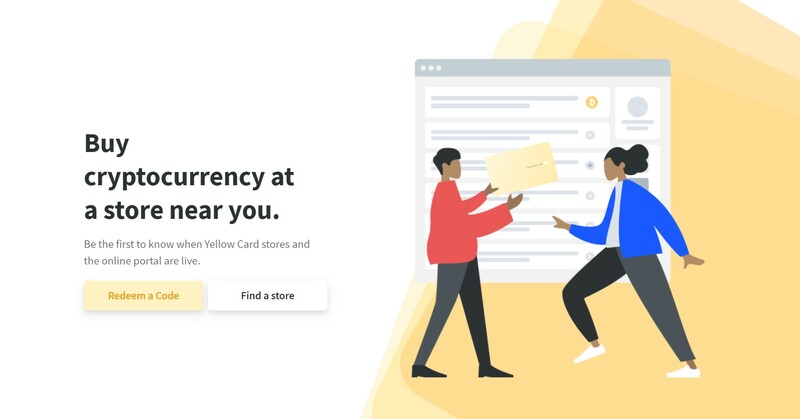 Yellow Card distributes its Yellow Card Vouchers and PINs into retail stores around the world, which allow customers to pay in their local fiat currency and receive cryptocurrency instantly. With distribution partnerships in place with over 17 countries across Africa, the Middle East, and the United States, Yellow Card makes basic financial services, global markets, and e-commerce more accessible, and affordable, than ever before.